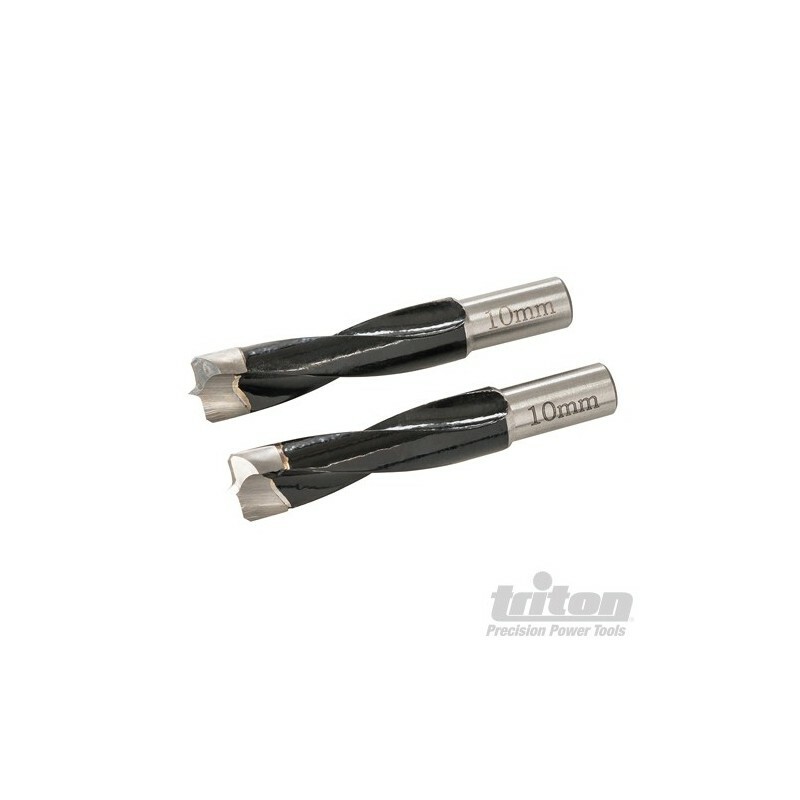 Tungsten carbide cutting head with tip and spurs. 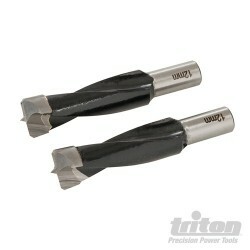 Twin-fluted hardened steel shank and twin-fluted body for a smooth finish. 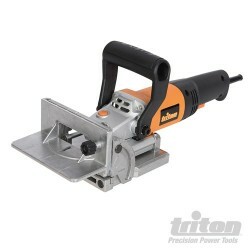 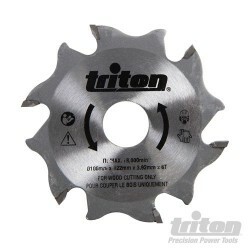 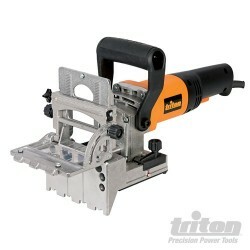 Compatible with Triton Duo Dowel Jointer TDJ600. 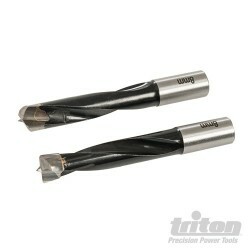 10mm shank.